In this article, I’m going to cover how you can take full advantage of the biggest sales day of the year on Amazon Prime Day with a seven-step process to maximize your sales results. 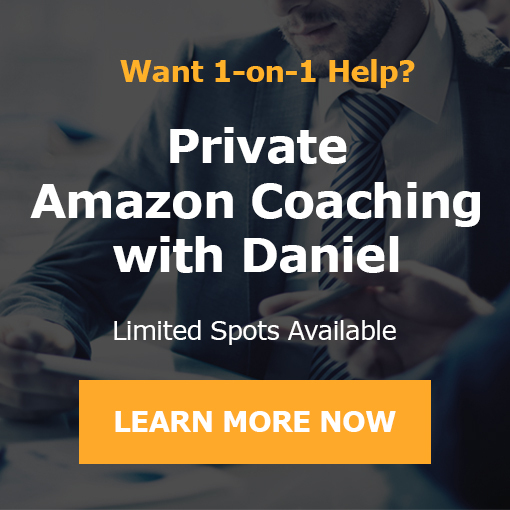 If you’re selling private label products on Amazon FBA, then this is an absolutely massive opportunity for you. You want to make sure you pay close attention to what I’m about to show you in this article. During the last six years, I have experienced some incredible days in terms of sales. More recently, the biggest ones have been during Prime Day. It can be absolutely mind-blowing just how many sales you can get during this one day. I’m excited to share the most important lessons I’ve learned on how to fully capitalize on this 24-hour period here in this article so let’s get started. First off, I want to tell you a few quick things about Prime Day that I think are important for you to be aware of. Prime Day always occurs in mid-July, and it began in 2015 to commemorate Amazon’s 20th anniversary. On Prime Day, shoppers will linger on Amazon because new deals will be released as fast as every five minutes or so. Sellers can get increases in sales from these shoppers who are buying other products on Amazon after finding major deals. This day is bigger than Black Friday and Cyber Monday combined on Amazon. They talk about this being like Christmas in July. According to Amazon, tens of millions of Prime members made purchases on Prime Day in 2017. That’s 50% more than in 2016. In order to purchase items via Amazon on Prime Day, customers must be a Prime member [R]. The latest stats revealed that Amazon’s Prime subscription service has over 100 million paid members globally [R], which is obviously absolutely mind-blowing and makes this the biggest and most successful subscription service in the world by far. One thing that’s different in 2018 is Amazon’s focus to extend the shopping holiday beyond Prime Day [R]. We shall see what happens. Amazon obviously wants to expand this day to be as big and powerful as possible because it really works well and it also gives the Prime members a huge incentive to remain Prime members. [+] First, of course the obvious, an increase in sales revenue and a build-up of brand awareness, both of which directly and indirectly make the seller money. [+] The second big benefit is that it’s an excellent opportunity to unload inventory to help avoid longterm storage fees. Not as positive or as exciting of a benefit, but still it is very useful for that purpose. [+] The third is to launch new products and drive sales velocity. In my opinion, this is the biggest benefit for sellers when done right. I’ll talk about that more later on in this article. Now, I’m going to show you the exact seven-step process that I recommend to maximize the benefits you’ll get as a seller during Prime Day. Again, this is the biggest day of the year to sell on Amazon. It is the biggest one-time opportunity every single year for you as a seller. Pay close attention to this as it’s really, really powerful. Advertising, inventory management and deals all play a crucial role in driving performance on Prime Day. Of course, this does have to happen a bit in advance of Prime Day. As it makes sense for you and your business, you should stock up and have as much inventory as possible, just so you can sell more during Prime Day. That’s the more obvious reason to stock up, but one of the main benefits of properly leveraging Prime Day is not the huge amount of sales you’ll see in a short period of time, but it’s actually the momentum you can gain beyond Prime Day if you sell a lot and you do not run out of inventory. That’s the only catch-22: you want to sell more during Prime Day, but you also do not want to run out of inventory. I know this is easier said than done. It may not be for everyone or every product you have. If you’re able to do both, sell more and not run out of inventory, then it’s a really massive opportunity to take any product far beyond where it’s currently at now in terms of daily average sales volume to a much higher and better level after Prime Day. What will happen is that most other sellers will run out of inventory on Prime Day. When that happens, if you do not run out of inventory, but you still increase your sales, which I tell you how to do here in this article, you are going to dramatically move up in the rankings and have more visibility when Prime Day is over. That’s because so many of your competitors are going to be out of stock. Just like Christmas and the other big days like Cyber Monday and Black Friday, this day is one of the best opportunities you’ll ever get to basically promote your products and get them into a better position after the shopping event is over. I’ll talk a bit more about that a little bit later in the article, but for this point, stocking up, just remember that the number one rule is that you never want to run out of inventory. You want to sell as much as possible during Prime Day without running out, so keep that mind as we move onto the next steps here. Of course, if you’ve been following us for any amount of time, you’ve heard us talk about the fact that conversion rate is king on Amazon and you should always be working to optimize your listing and your conversion rate over time. Unless it’s a very new product, you should already be in a good place with your listing and it should be converting well at this point. First, if you haven’t fully optimized your listing or made some upgrades that you’ve been thinking about doing, this is of course a great time to do it and to test these upgrades in the weeks leading up to Prime Day to make sure you’re as optimized as you can be during Prime Day. Second, this is also a great time to add A-plus and enhanced brand content on your listing, meaning you should invest in these graphical descriptions and things that Amazon may offer you as a seller to improve your listings and your conversions. One of the best times to invest in these upgrades is right before Prime Day when you have a product that’s doing well or at least decently. It’s a good time, especially when you have enough inventory in stock or coming into stock before Prime Day, to invest into these listing upgrades because just one Prime Day alone could pay you back many times over for that investment due to the massive volume that happens in that one day. It can also help you do even better during Prime Day and gain more visibility long after the day is over. So it’s a good time to upgrade your listings. Starting from now until Prime Day starts, sellers and advertisers on Amazon should be testing their Prime Day ad copy to find the ones that have the highest CTR and sales. That includes things like AMS headline ads and product display ads if you’re using those, as well as seller central headline search ads. So sponsored ads and just the basic ads you may be running. You want to really make sure you have good ads ready to leverage Prime Day to the max. We’ll come back and revisit this topic of leveraging advertising during Prime Day here in just a moment. The first step is to leverage lightning deals. Just keep in mind that the cutoff line for these is going to be a couple weeks before Prime Day. Depending on when you’re reading this article, it might be too late, but this is something you want to really prepare for if you want to do this in advance. Products that are eligible for lightning deal submissions are pre-selected by Amazon. You would still have to submit your product for review via Amazon’s application process and you will be charged for each lightning deal that has been submitted and has successfully run. The fees are displayed next to the “submit” button when you create the deal (heads up: Amazon has increased the registration fee for lightning deals to $750 in 2018, up from $500 in 2017) [R]. Eligible products are automatically displayed in the eligible ASINs section of the lightning deals dashboard. If you have a lightning deal that runs right before or during Prime Day, it can just be way more powerful than running it at another time of the year. If you do want to run a lightning deal to either liquidate inventory or just get a boost in your products’ rankings and visibility, then scheduling it for Prime Day or one of the other big selling days on Amazon is a really good idea. The second thing you can do for re-pricing is to take advantage of Amazon coupons. You can have a coupon that displays on your listing or you could distribute a coupon to your audience or something like that. The third option here is my favorite by far. That is just to do a general price drop. This is the number one method. This is really about going into “promotional mode” before and during Prime Day like we teach our Infinity Code students. You’ll want to start this price drop at least three days before Prime Day because you’ll want to boost your rankings and visibility ahead of time, so that you have even more visibility and high rankings during Prime Day. It’s a good idea to keep your price dropped during Prime Day if you just want to have as many sales as possible to build momentum and make money, but you could also raise the price back up during Prime Day or right before it. That could be more profitable for you or just help you sell more, but not too much to make you run out of inventory. On the other hand, doing a general price drop a couple of days before and then keeping those low prices during Prime Day and even a couple days beyond Prime Day could be really, really powerful to help you get the most out of it. It’s something you have to consider and will depend on your goals. In general, though, having that increased visibility is going to help you, so you definitely want to drop the price at least a couple days before Prime Day to build that up. If you have plenty of inventory and just want to improve your rank and momentum and visibility as much as possible so you get a massive promotional benefit before, during and then after Prime Day, then this price drop is a very good idea and probably the most powerful thing you can do. As a side note here, if you are running out of inventory during Prime Day, you may want to raise your price enough to keep you from running out of inventory, which I highly suggest you do in all cases. That’s the number one rule if you want to build a product up on Amazon FBA: you need to do it in a sustainable manner so you never drop your momentum and never run out of inventory. Back to the advertisements, sellers should increase their advertising budgets specifically for sponsored products and Amazon marketing services right before, during and even after Prime Day. But if you really want to get the most out of Prime Day, you want to make sure you win those placements during this day and really get as much exposure as possible. When you do this, again, just like we teach in Infinity Code and our free FBA crash course, which you can access here, you want to focus on your top-converting and sales-driving keywords here. When you bid on ads, prioritize your best search terms and the focus terms and keywords. Everyone and anyone will be looking to advertise their products leading up to Prime Day. You don’t want to miss out on valuable traffic, especially traffic you’ll get through by focusing on search terms that you want to rank for. Through those search terms, you’ll want to get as much traffic and sales as possible during Prime Day, and of course not run out of inventory and come out really strong. Perhaps you’ll go up multiple, multiple spots in the rankings on those terms just by leveraging Prime Day properly and not running out of inventory. It really is the best time to grow your product for the long term. After increasing your budget, you also want to then monitor the budget during this period of time because things will change much quicker. There will be other competitors raising their bids too, and you may be paying a lot more for your ads. You want to make sure, if you really want to capitalize on Prime Day, that you monitor your budget so you can get the most out of this increase in sales velocity. During this time, you need to be on high alert so you can avoid issues that could damage your results. You really should focus on your most successful products first and address any issues that come up immediately or the day of. You might even want to stay awake for about 24 hours during this period of time, or at least have a team member help you, just so you can be totally on top of everything. Some examples of issues that you should be really wary of include, again, out of budget advertising campaigns, as well as account payment failures especially related to your ads and things like that, and product issues and reviews. You want to be quick to respond to any issues that may come up in terms of issues with your product or related to your customers. Of course, one really bad review that comes at a really bad time, let’s say just when Prime Day is starting, could really harm you. You want to make sure you stay on top of comments like these and respond to them, or have them removed if they’re not legitimate reviews. You want to really do everything you can to just make sure everything runs smoothly because it’s such an important day and it can be worth a lot of money for you in the long term. So just make sure you are on top of this to eliminate issues and put out fires quickly. Now, I want to quickly mention what happens after Amazon Prime Day is over. Be aware that many sellers will be increasing budgets and bids for Prime Day, which I already mentioned, but the rate at which they reverse those changes back to normal will vary widely. The bids may remain much higher for a couple of days or even weeks beyond Prime Day. Just be aware of that and consider your situation so you can take the appropriate action based on that. Sellers should also prepare for any operational aftermath including more returns to process, an increase in customer questions and more opportunity for FBA refunds. You may want to be on high alert after Prime Day as well because you’ll probably have more work to do. I also want to mention something that’s really important and that can trip you up psychologically if you’re not aware of it. That is that there are delays in sales data. If you’re not seeing the sales that you’d expect, don’t panic because detailed page views and sales data may take up to three days to appear. As we go through sales on Prime Day, don’t be refreshing your stats every five minutes and freaking out if nothing is happening because it may be delayed. Of course, we want to stay on top of things, but just be aware of that. AMS or Amazon Marketing Services reports could take several days to become available. Also be aware of that. For AMS, by the way, impressions and clicks data may take up to 24 hours to appear. That’s it. I hope you got a lot of value out of this article. Mark your calendars so you’re ready for Prime Day not only this year but also next year. All of the same steps and things I’ve talked about here in this article will apply to Prime Day in 2019, 2020 and beyond. Also, have realistic expectations. Some sellers see a nice bump in sales, but then some sellers have huge bumps in sales. It just depends on what your selling, and of course, how you prepare and come into Prime Day so you can increase your chances of getting that huge bump in sales. And again, we’re talking about a huge bump not only during but also after Prime Day in the long term. Just have realistic expectations as well and any increase, especially in the long term after Prime Day is very, very valuable. You can’t really lose during Prime Day unless you run out of inventory. But, most of all, remember that the biggest opportunity of Amazon Prime Day, again, is to speed up the momentum that you’re building with your products. This will speed up your exponential growth curve so you can grow your sales and visibility on Amazon even faster. Just like with other large sales days, many of your competitors will run out of inventory after Prime Day. When you avoid that, you can move significantly up the rankings and then work to keep those rankings, which will benefit you massively in the long term, and you can repeat this process during every single big sales day. Luckily, there are a couple of those every single year. Finally, I want to mention that if you’re interested in learning how to optimize your products for sustainable long-term growth so you can grow your products into bestsellers, then check out our free Amazon FBA crash course. It is a nearly three-hour mini video course that I created showing you our proprietary methodology from A to Z on how to successfully identify products on Amazon FBA. I promise you haven’t seen this stuff before because we invented this process. Make sure you go check it out by clicking the link here. Again, I hope you got a lot out of this article and thanks for spending this time with me. Feel free to comment below if you have any questions and I will personally respond. Make sure you also share this article with anyone who might be interested, and connect with us on Facebook, too. Thanks for reading!